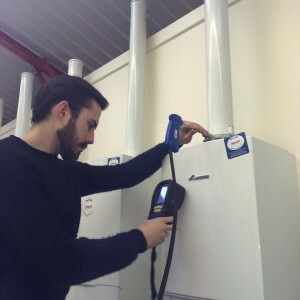 We carry out boiler servicing across Woking, Guilford and areas within Surrey. Competitive prices starting at £75 + VAT. Your boiler service will be carried out by one of our qualified enginee rs. SAFE - Ensure you other occupants are SAFE. Burnt gases (carbon monoxide) from your boiler can kill. Efficient - Your boiler is running as efficiently as it can, allowing you to avoid heavy bills. Reliable - Like a car, you need to be able to rely on your boiler when you really need it. Avoid breakdowns in the cold. analyse your flue to make sure your appliance isn’t leaking carbon monoxide. test controls to make sure they’re safe. check for any wear or leaks.